A royal name must not be given lightly, it must suit one's character. 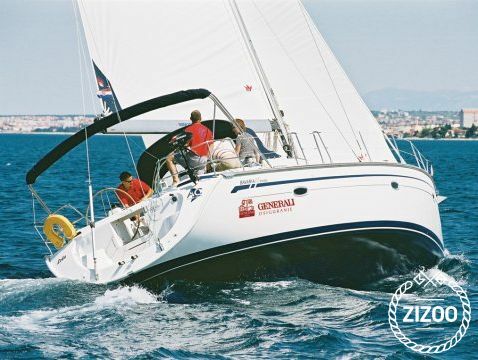 Anastasia is a Bavaria 46 built in 2006, a mature princess possessing wisdom gained through experience. She knows her sea and will proudly show it off. Moving gracefully as the wind fills her sails, you can relax to the sound of her bow cutting through the water surface, disturbed by occasional flutter of the sails caused by a sudden gust of wind. Royal lifestyle must be maintained at all levels, so make sure you stock up on fine Croatian wines to enjoy with your delicious meals, or have an impromptu picnic on a lazy afternoon - some wine, cheese and olives while soaking up the beauty of her kingdom. On your last evening on Anastasia, prepare a little feast with your crew. Dress up in her honour, to celebrate the experience she has given you, and bid her farewell worthy of her grace.